Rep. Trent Franks resigned in December amid allegations that he sexually harassed female staffers. Next week, no matter which party wins the race to replace the Arizona Republican, a woman will be elected to succeed him. 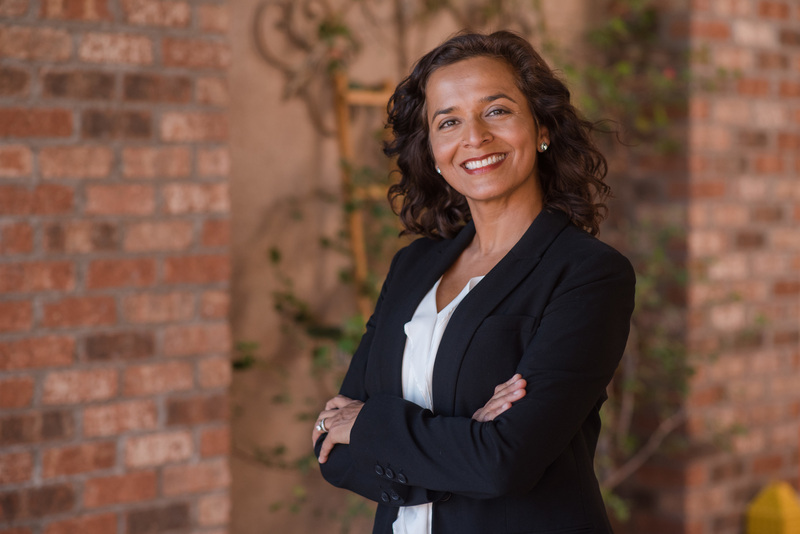 The April 24 special election in the 8th District pits former GOP state Sen. Debbie Lesko against Democrat Hiral Tipirneni, a cancer research advocate and former emergency room physician. The two could also meet again in November since both intend to file to run for a full term. With the possibility the race could be decided by 10 points or less, operatives in both parties are watching for signals about the midterms. Tipirneni said she has a real shot at winning the traditionally Republican district, west of Phoenix, but other Democrats are more cautious in their predictions. While Republicans expect to hold the seat, one Arizona GOP consultant said they shouldn’t expect a huge victory based on recent special elections. That sentiment could explain some of the outside spending, which has been mainly on the GOP side. Groups, including the Republican National Committee, the National Republican Congressional Committee, and the Congressional Leadership Fund, have spent a combined $1 million roughly. That figure pales in comparison to other special elections this cycle. Speaker Paul D. Ryan also hosted Lesko at a Wednesday night fundraiser in Washington, while House Majority Leader Kevin McCarthy will travel Thursday to the Grand Canyon State for another fundraiser. The outside help is notable given the Republican lean of the district. President Donald Trump carried the seat by 21 points in 2016, and Mitt Romney won it by 25 points four years earlier. Franks didn’t have a Democratic challenger his last two re-elections. Republicans make up 41 percent of active registered voters in the district, while 24 percent are Democrats. Thirty-four percent are not registered with a party. Democrats have interpreted the GOP spending as a sign the party is worried about losing the seat. Even a close result would signal Republicans will have trouble holding on to the House in November, some Democratic operatives say. But Republicans say they’re not concerned about losing. Tipirneni raised a total of $740,000 compared to Lesko’s $564,000, according to Federal Election Commission documents. Outside Democratic groups haven’t spent significant money for their candidate. But the Arizona Democratic Party has assisted with the field operation, opening an office in Peoria after the February primary and using a grant from the Democratic National Committee to help implement its strategy. The DNC continues to work closely with Tipirneni and her team, said Jacob Peters, a spokesman for the Democratic Congressional Campaign Committee. Endorsements by groups such as End Citizens United, EMILY’s List and 314 Action have boosted Tipirneni’s fundraising. End Citizens United announced Wednesday its donor network brought in $100,000 for her. Tipirneni’s campaign saw a fundraising spike after the primary and after Democrat Conor Lamb won a special election in Pennsylvania in a district Trump carried by 20 points. Having her own resources to tell her story is significant because she can buy television ads at better rates as a candidate, one Democratic strategist said. Republicans have tried to counter with their own ads and mailers tying Tipirneni to national Democratic figures such as House Minority Leader Nancy Pelosi. Tipirneni said her campaign has deliberately tried to run a local, rather than national, campaign, keeping the focus on issues such as protecting health care, education, Social Security and Medicare. That focus on local issues and pragmatism gives her a real shot at winning, she said. Her emphasis on Medicare and Social Security could resonate with the district’s older voters. The median age of the district is 42, according to Census data, and more than 20 percent of the population is 65 and older. But Lesko is a formidable candidate, Arizona GOP operatives say, and is well-known in the area. Democrats have tried to paint her as a career politician, but she has a natural base in 8th, which encompasses her former state Senate district. Barrett Marson, Lesko’s campaign spokesman, was confident she will prevail, pointing to early voting numbers from the Arizona secretary of state’s office. So far 144,000 votes have been cast with 49 percent of returns from Republicans, 28 percent from Democrats, and 23 percent from independents. Arizona officials are expecting between 262,000 and 276,000 total votes, which would be slightly below the 2016 general election turnout and a 100,000 votes more than the 2014 election. While Tipirneni’s team sees independents as people frustrated with congressional inaction who could back a Democratic political outsider, Republicans point out that those voters tend to lean conservative and the party remains confident of holding the seat, both next week and in November. But some are not as optimistic about what this means for the midterms.